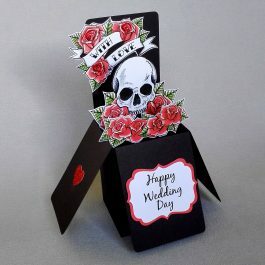 Gothic Til Death Do Us Part Card. 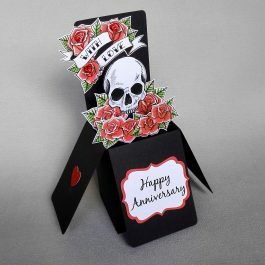 Perfect for a gothic Wedding or anniversary. 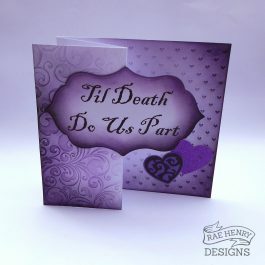 Luxury handmade card with embossed background hand distressed with purple ink. 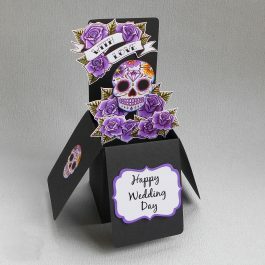 Pop up 3-d style design. 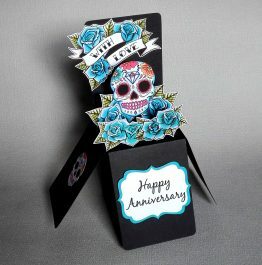 The card measures approx 6×6 inches square and comes in a clear bag with a white envelope. 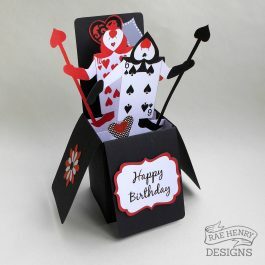 Luxury handmade pop up 3-D box card with an Alice in Wonderland inspired design. Folds flat for postage, no assembly required, comes in a clear bag with a white envelope. Folded flat, it measures approx: 21cm x 16cm. 3-D box design decorated with gems, glitter and metallic card stock. 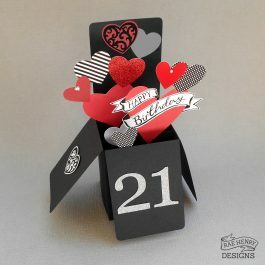 Handmade Pop up 3-D box card. 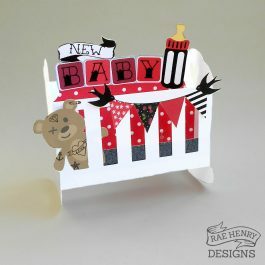 Creepy cute handmade alternative new baby card. 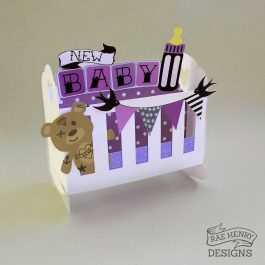 Pop up 3-D cot shaped card with rounded base so that the card actually rocks! Purple design with tattooed teddy and swallows perfect for a new rockabilly baby. Folded flat it measures approx: 21cm x 14.5cm. Red design with tattooed teddy and swallows perfect for a new rockabilly baby. 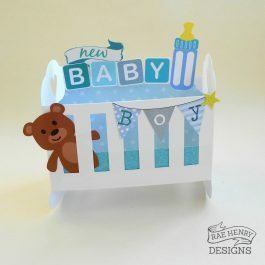 Handmade It’s a Boy Rocking Cot Card. 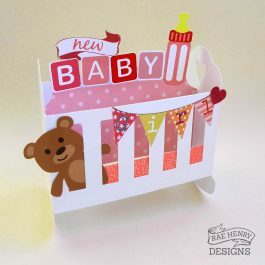 3-D cot shaped card with rounded base so that the card actually rocks! Handmade It’s a Girl Rocking Cot Card. 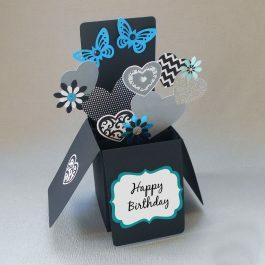 3-D cot shaped card with rounded base so that the card actually rocks! 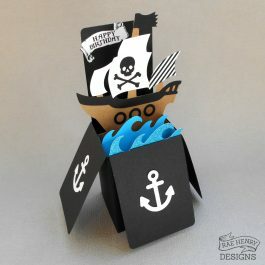 Handmade 3-D design with pirate ship, waves and anchors. Folded flat it measures approx: 21cm Tall, 21cm x 16cm. 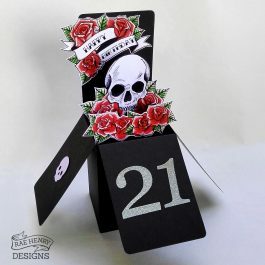 Personalised age: This design can feature any age or it can be left without the age. Please send me a message or leave a note at the checkout. 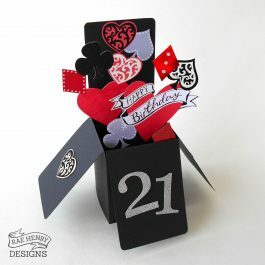 Handmade up 3-D box design decorated with hearts, gems, glitter and metallic card-stock. The card folds flat for postage, no assembly required. It comes in a clear protective bag with a white envelope. Folded flat it measures approx A5 sixe: 21cm x 16cm. Folds flat for postage, no assembly required. Comes in a clear protective bag with a white envelope. Alice in Wonderland Pop-up Wedding Card. 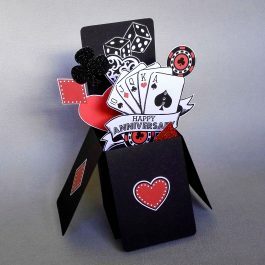 Handmade 3-D Alice in Wonderland inspired wedding card. The card folds flat for postage, no assembly required and comes in a clear protective bag with a white envelope. Pop up 3-D box design decorated with hearts, gems, glitter and metallic card stock. 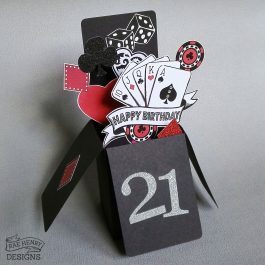 This design can feature any age e.g. 16, 18, 21, 30, 40, 50 etc or it can be left without the age. Please send me a message or leave a note at the checkout.